A runny nose is all in a day for a child with allergies but new research has found that a simple supplement may help stop allergic sniffles. A study published recently in Indian Paediatrics found that allergic symptoms diminished in children with allergies who took a probiotic supplement containing a friendly intestinal bacterium called Lactobacillus salivarius. The study included 240 children, 6 to 12 years old, with allergies to mould or dust. The children all suffered from rhinitis, which presents as the familiar runny nose, itchy nose, and nasal congestion. Some children also had itchy, red, watery eyes, and some had mild asthma symptoms like cough, wheezing, and shortness of breath. Participants were divided into two groups: one received a probiotic supplement with 2 billion colony-forming units of Lactobacillus salivarius once daily for 12 weeks, and the other group received placebo. Their symptoms and use of allergy medications were monitored weekly by parents and at regular check-in visits during the study. By week 8, rhinitis and eye symptoms were much lower in the probiotic group than in the placebo group. This difference in symptoms was even more significant by week 12. Probiotic-treated children were using fewer medications by the end of the study. How do intestinal bacteria help allergies? Although no one knows for sure why probiotics have anti-allergy and anti-inflammatory effects, some laboratory studies suggest that the presence of healthy intestinal bacteria may increase levels of chemicals that are responsible for keeping the immune system in check. A properly controlled immune system is less likely to be triggered by particles in the environment like dust, pollen, and animal dander. Nurse them for one year. Breast milk helps babies develop healthy intestinal bacteria and can reduce their risks of allergies and asthma later in life. Avoid antibiotics as much as possible. Antibiotics can disrupt colonies of normal bacteria that populate the intestines. Studies have found that antibiotic use early in life is linked to a higher risk of allergies and asthma as children grow. Expose them to animals. Even if you can’t have pets because of your own allergies, having your children spend time around animals on a regular basis can help prevent dander allergies. Consider probiotics. Based on this study, probiotic supplements could be a good idea for children with allergies. In addition, cultured foods like unpasteurised sauerkraut, fermented pickles, and cultured dairy like yoghurt and kefir provide strains of similar lactic acid–producing bacteria that might help keep the immune system in check. Are Your Children Getting the Vitamins They Need? Before you serve up the gummy vitamins, chew on this: some children may not be getting the nutrients they need most from their multivitamins, some may be getting too much of certain nutrients, and others may not need a multivitamin at all. Do they really need a children’s vitamin? Eating a healthy diet goes a long way towards preventing nutritional deficiencies, but how much do we really know about which nutrients children are getting enough of in their everyday diets and which ones we need to supplement? That’s the question that researchers from institutions including Tufts University and the National Institutes of Health attempted to answer in a study published in the Journal of Paediatrics. The study looked at the diets and supplement use of 7,250 children between 2 and 18 years old to see if taking supplements helped fill in nutritional gaps, or if it led to excess intake of certain nutrients in children who already had good diets. Where diet worked: Most of the younger children got plenty of phosphorus, copper, selenium, folate, and vitamins B6 and B12 from diet alone. Where supplements helped: Dietary supplements helped fill in nutritional gaps (especially of magnesium, phosphorus, and vitamins A, C, and E) among older children. The prevalence of inadequate intake of all of the nutrients examined (except iron and phosphorus) was significantly lower among children who took supplements. There was a significantly higher prevalence of inadequate calcium and vitamins A, C, D, and E intake across all age groups among children who didn’t take supplements. Most of the children between 2- and 8-years-old who didn’t take supplements didn’t meet the recommended intake for calcium and vitamins D and E.
Where supplements didn’t help: Even among children who did take supplements, more than one third didn’t get enough calcium or vitamin D. Children who took supplements were more likely to have intakes above the tolerable upper intake level (UL) of iron, zinc, folic acid, and vitamins A and C. Younger children were also more likely to have intakes above the UL for copper and selenium. The take-home message from this study is that younger children may be getting enough of most nutrients from diet alone, but may benefit from boosting intake of certain nutrients, like calcium and vitamins D and E. Older children might benefit from taking a multivitamin-mineral supplement, and making sure that they get enough calcium and vitamin D. “These findings may have implications for reformulating dietary supplements for children,” the authors commented. When i was going through a tough time I really appreciated Bio-Health’s St John’s Wort and I guess I’m a bit of a fan of the brand now. They make 100% additive free herbal medicinal products as well as other herbal remedies and vitamin supplements. We’re extending their range at GoodnessDirect with more herbals such as cinnamon bark, said to reduce stomach spasms, flatulence and menstrual cramps; celery seed, believed to benefit by eliminating water retention, reducing inflammation and regulating blood pressure; or melissa (lemon balm) leaf, traditionally favoured for nervous disorders such as depression, anxiety and palpitations. Herbal remedies don’t pretend to replace medicines, but they are useful for everyday self-limiting conditions. Bio-Health ensure those who prefer natural solutions get the quality, safety and efficacy they rightly deserve. 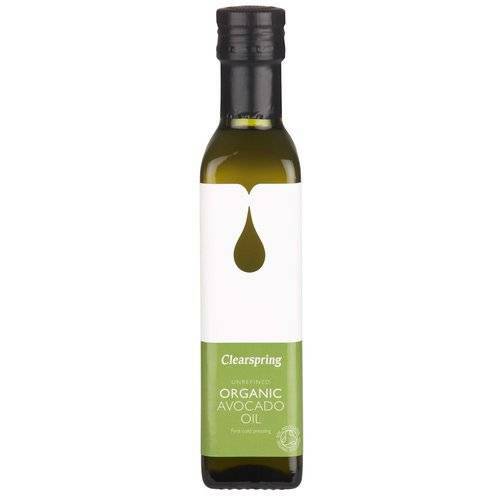 As well as some of the regular oils, Clearspring bottle some more exotic organic oils. Take Avocado Oil for example. It is described as having a delicious, nutty flavour and has a large range of uses including for dipping with bread, adding colour, smoothness and flavour to dressings, stir-frying and even deep-frying as it has a very high smoke point. It is also cholesterol free, rich in vitamin E, omega 3 and 6 and it’s high in monounsaturated fat. Avocado oil can even be used as a substitute for butter in cakes or pastry and is excellent drizzled over warm vegetables or pasta. But don’t panic, it doesn’t turn your food green; when you cook with avocado oil the distinctive colour becomes clear. Safflower Oil is ideal for making dressings and dips. It has a slightly sweet, nutty taste and is particularly useful in dishes with uncomplicated, straightforward flavours – it also adds a wonderful texture to frozen desserts. The oil is very nutritious with a very high omega 6 content and it also contains omega 9. It has a significant vitamin E content, so much so it can be used as a moisturiser on your face or in aromatherapy. However, with safflower oil you can rely on the natural yellow colouring to add some sunshine to your food. Walnut Oil and Hazelnut Oil are fantastic in salad dressings. Hazelnut oil, with its wonderfully aromatic quality, is a well established delicacy in French and Italian cuisine. The distinct nutty flavour of walnut oil is a rare treat that adds a delicious exotic flavour to salads and dips. Toasted Pumpkin Seed Oil is packed with vitamins and minerals including A, B1, B2, B6, C, D, E, and K, calcium and zinc and the essential fatty acids omega -3 and -6. It is said that pumpkin oil is beneficial in the treatment of urinary tract infections and in preventing other diseases. But pumpkin seed oil is versatile too, it marries well with the earthy flavour of wild rice dishes and adds a nutty richness to soups. Let your imagination stretch to making a spicy pumpkin soup and some drizzled pumpkin oil on the top will work wonders. Low fat, low sugar and gluten free cakes! A friend of mine used to make low fat cakes which I really loved. They were basically made of fruit and, while I can’t quite remember how she got the ingredients to bond together, the result was blissful. 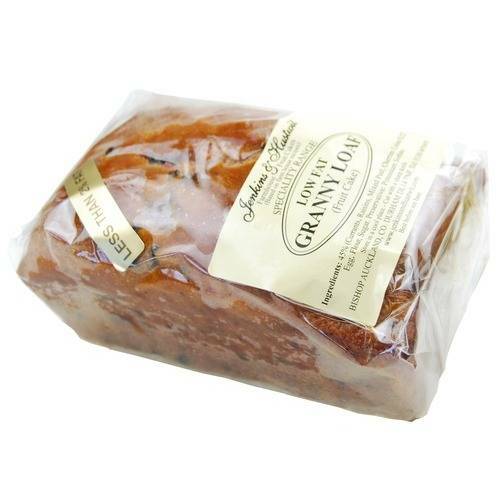 Now, it seems there’s someone doing it professionally, two people actually, Jenkins& Hustwit, who make a Granny Loaf Fruit Cake which has less than 2% fat. The company, started by a couple of farmer’s wives in Northumbria, promises the very best in good old-fashioned farmhouse baking. They specialise in high quality cakes and puddings, and even make Christmas puddings, so there’s something to look forward to. It should be noted that they also make gluten free cakes and no added sugar cakes, but we’re still writing up all the details at GoodnessDirect. Exciting stuff nonetheless. The European Food Safety Authority has weighed in on the debate about how much vitamin D, calcium, and essential fatty acids can be taken safely over the long term. These recommendations, which are issued by the Institute of Medicine in the United States as well, are known as tolerable upper intake levels (ULs). The science on nutrient safety isn’t always 100% clear, so it can be helpful to consider where different panels of health experts around the globe set these limits. The upper end of safe intakes for most nutrients are not ordinarily reached or surpassed by people eating a typical diet in Europe or the US. For the majority, food alone will not put a person in danger of nutrient toxicity. But when adding dietary supplements and fortified foods, upper intake levels are needed to protect people against toxicity. We can use these numbers to guide our choices for safe use of dietary supplements and fortified foods. The UL for children 11 years old and up and adults is 4,000 IU per day in the US and in Europe. The UL for 8- to 11-year-olds is 4,000 IU per day in the US, though in Europe, the UL for this age group is lower, at 2,000 IU daily. The UL for 1- to 10-year-old children is 2,000 IU per day in Europe, though in the US this age group is broken down further. In the US the UL is 2,520 IU per day for 1- to 3-year-olds, 3,000 IU per day for 4- to 8-year-olds, and 4,000 IU per day for 9- to 13-year-olds. The UL for infants—children under 1 year old—is 1,000 IU per day in Europe, though in the US, again, this age group is broken down further; the UL is 1,000 IU per day for newborns up to 6 months, and increases to 1,520 IU daily for infants 6 months to 1 year old. In Europe, the UL for calcium is simple: 2,500 mg per day for all adults. The European Food Safety Authority states that there isn’t enough scientific evidence to set safe upper limit values for essential fatty acids, which include the long-chain omega-3 fats found in fish and seafood. However, they indicate that supplementing up to 5 grams per day appears to be safe, and recommend all adults get a minimum of 250 to 500 mg of these omega-3 fats daily for good health. In the US, there are no official safe upper limits for essential fats, though the FDA indicates that intakes up to 3 grams per day are safe. The American Heart Association indicates that aiming for 900 mg per day of omega-3 fats—the amount that research suggests can lessen cardiovascular disease risk—is a good goal for all Americans. There is much overlap between the safe upper limits for vitamin D, calcium, and essential fatty acids set by health agencies in Europe and in the US. Where these numbers diverge, you should consult your doctor or dietitian with any questions you have about how much of these nutrients are safe for you. Use safe upper limits. These are set to provide guidance on appropriate nutrient intakes for the general population. There are always exceptions: for example, higher levels might be needed to address deficiency. Also, higher amounts may be needed to treat a particular medical condition. Consult your doctor or dietitian if you feel you need higher levels of any nutrient. Keep track of all sources of nutrient intake. Many foods are now fortified with calcium, vitamin D, and/or essential fatty acids. If you use fortified foods, you may not need any dietary supplements of these nutrients at all. Go to food first. Most nutrients are best absorbed, and occur in safe amounts, in their naturally occurring form in food. For example, our bodies do best with calcium from dairy, green leafy vegetables, beans, nuts, and seeds, rather than larger quantities of calcium taken all at once as a dietary supplement. Remember balance. Sometimes, taking large quantities of one nutrient can make it harder for our bodies to absorb or use other important nutrients. Before you supplement single nutrients, talk with a knowledgeable doctor about getting a good balance of all vital nutrients. People with osteoarthritis often have pain and inflammation, even when using available therapies, such as nonsteroidal anti-inflammatory drugs, or they may experience side effects from long-term medicine use. This makes study findings published in the Journal of Food Studies of interest, as it found that a blood marker for inflammation known as C-reactive protein was reduced by nearly 50% in women with osteoarthritis who drank tart cherry juice. In this study, 21 women with osteoarthritis were randomly assigned to drink 10.5 fluid ounces of tart cherry juice or a placebo cherry drink twice a day, for 21 days. The tart cherry juice was made from tart cultivar Montmorency cherries, and 10.5 ounces of juice contained the equivalent of as many as 60 cherries. The placebo drink contained 2 grams of unsweetened cherry flavoured fruit drink mixed with 1 litre of water, and cherry syrup and lemon juice were added for flavour. Blood tests assessing the level of inflammation in these participants were measured before and after the intervention. Results showed that women who drank the tart cherry juice had a nearly 50% reduction in blood levels of C-reactive protein, a common indicator of inflammation. While these findings show promise, keep in mind that it is still not clear whether the active treatment was truly beneficial or whether the placebo caused an adverse effect and the active treatment was beneficial just in comparison. Further research is needed on the role of cherries in osteoarthritis management. Recommended: natural options. Osteoarthritis is a condition that causes inflammation in the joints, and people who suffer from this condition don’t always find complete relief from medications or shots. Integrating them with natural options, including regular exercise, healthy eating, and stress reduction, can significantly help relieve people’s pain. Complementary therapies such as massage, Tai Chi, and acupuncture have also been shown to help relieve pain and improve function in some people with osteoarthritis. Recommended: nutritional options. One natural option includes turning to various nutrients and natural chemicals in foods that boost the body’s ability to fight inflammation and cell damage. Certain plant foods such as tart cherries and other foods such as fish are high in natural chemicals that may lower inflammation and help prevent cell damage. Recommended: talk with a doctor. If you suffer from osteoarthritis and still experience pain, talk with a knowledgeable doctor about natural options that may complement your current treatments. Nutritionists knowledgeable about osteoarthritis can also be an important part of your healthcare team in advising about healthy eating for better health. Talk with a doctor before starting supplements to discuss the risks and benefits. Jane Hart, MD, board-certified in internal medicine, serves in a variety of professional roles including consultant, journalist, and educator. Dr. Hart, a Clinical Instructor at Case Medical School in Cleveland, Ohio, writes extensively about health and wellness and a variety of other topics for nationally recognised organizations, websites, and print publications. Sought out for her expertise in the areas of integrative and preventive medicine, she is frequently quoted by national and local media. Dr. Hart is a professional lecturer for healthcare professionals, consumers, and youth and is a regular corporate speaker.